The wait is almost over and after a year of hard work the book is finished and is expected to be published by PACKT this month (June 2011). You can Pre-order now ! 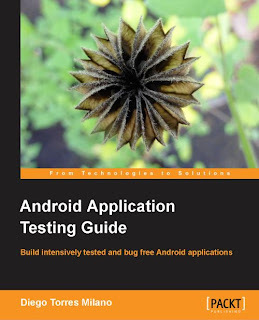 Adroid Application Testing Guide is a highly detailed book which gives step-by-step examples for a great variety of real-world cases, providing professional guidelines and recommendations that will be extremely valuable for optimizing your development time and resources. In the chapters you will find an introduction to specific testing techniques, and tools for specific situations. More detailed information can be obtained from its web page at PACKT. Looking forward to this book! Thanks for all your work. Thanks a lot. I am confident the book will be fulfill your expectations. Your critic and comments will be gladly welcome here. I am in china, I so want to have a book, HOW CAN I GET IT? This is one of the suitable and good post.Your blog is doing a Important role In Internet marketing field.This is one of the best post. I apprehension it was action to be some arid old post, but it actually compensated for my time. because your accessories are accepting the abounding able information. Bought the book and I highly recommend it if you are looking for explicit examples of how to use the Android testing framework to test your application. It also has good information about other helpful tools and even a bit on how to apply TDD and BDD to testing on Android. 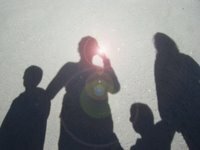 Well written, easy to follow, clear examples. Thanks Diego! Thanks for your comments. I'm glad to hear that you found the book helpful.